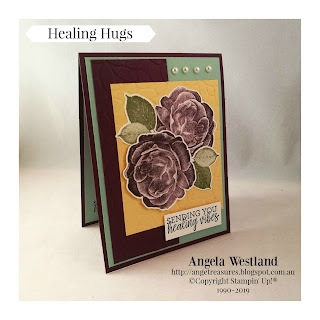 I decided to start creating with one of my newest stamp sets today "Daisy Delight", I have used the torn edge technique and sponged the torn edge using a dauber and my ink pad. Added some lovely dsp under the torn edge from my stash and used the Thank You sentiment that is in the set. 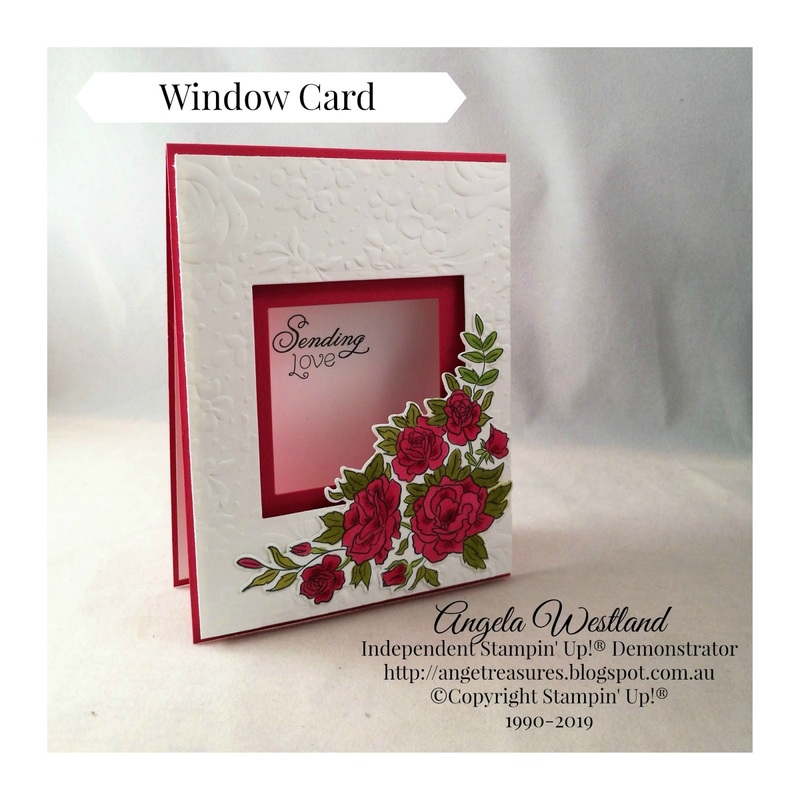 Today I have made a window card using one of my stamp sets the Climbing Roses which I have coloured in with my Blends Alcohol Markers. 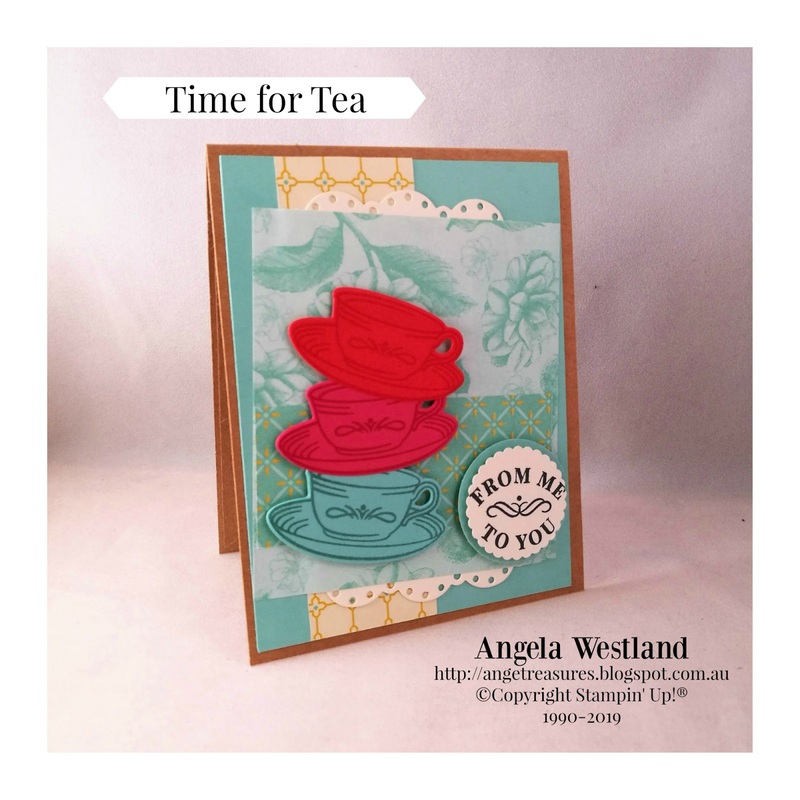 Why not join my members group and see what I am teaching in my Online Classes. JOIN HERE!! 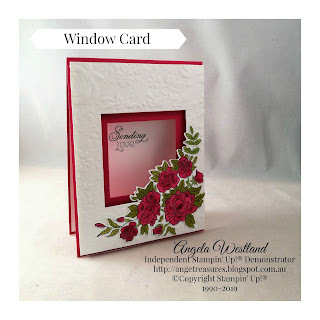 I love this technique with the window, it really makes the roses pop!! 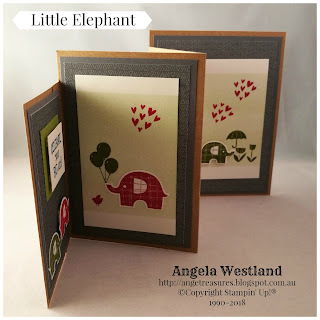 I have made a Z Fold 4 Panel Card today using the stamp set Little Elephant and the Elephant Builder Punch from Stampin'Up!®. I really love making these Z Fold 4 Panel Cards, I will be doing a tutorial for one over on my Utube Channel using the Little Elephant Stamp Set and Builder Punch so please subscribe to my Utube Channel so you don't miss the tutorial. I publish 2 tutorials every week. 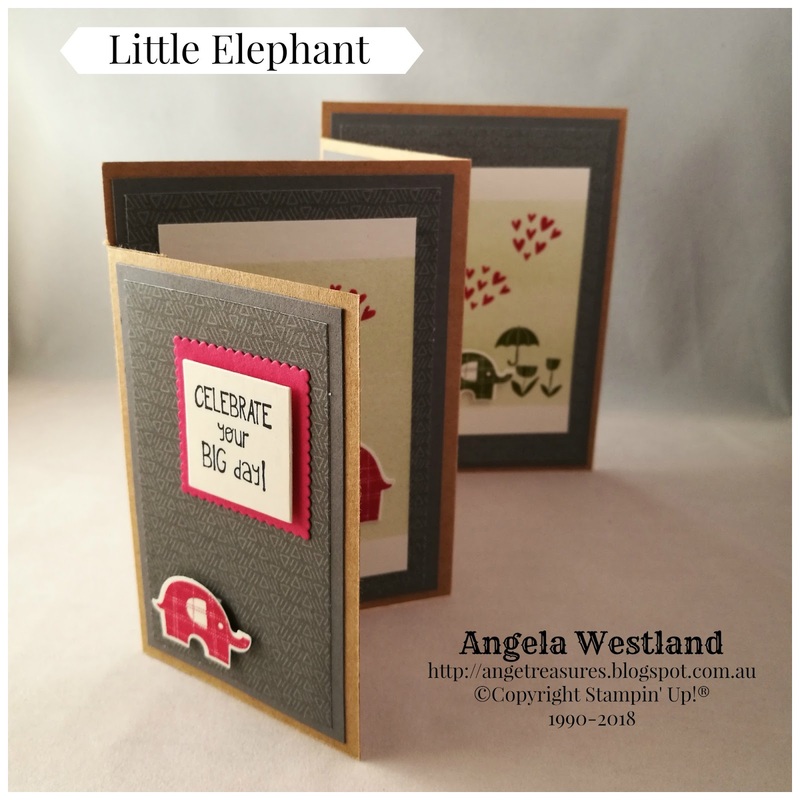 The base of my card is Kraft Cardstock, then my cardstock panels are Basic Gray and I have used the Animal Expedition DSP as my next panel. Finally sponging some panels of Very Vanilla I have stamped my images and stamped and punched my Elephants to create this scene. 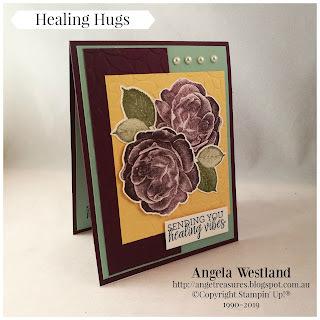 I have used another Colour Combination with one of my favourite stamp sets "Healing Hugs" I love this new kind of stamp that Stampin' Up!® has introduced to their range. Check out my Utube Channel for some videos showing this particular stamp set. I publish a tutorial twice a week. 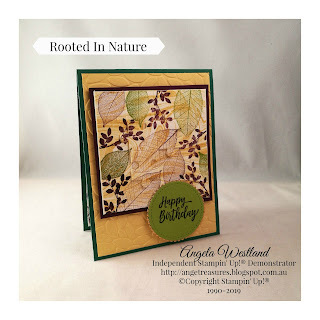 This is a beautiful Sympathy Card but you could use it for a Birthday Card quite easily by just changing the sentiment. Today I felt like doing some sponging, I find it so relaxing and melts my stress away. I have used Let It Ride stamp set and I have also done some masking so I could have 2 horses. I love this stamp set. 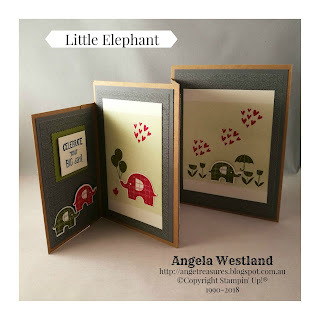 I also applied my top mat with Stampin' Dimensionals. 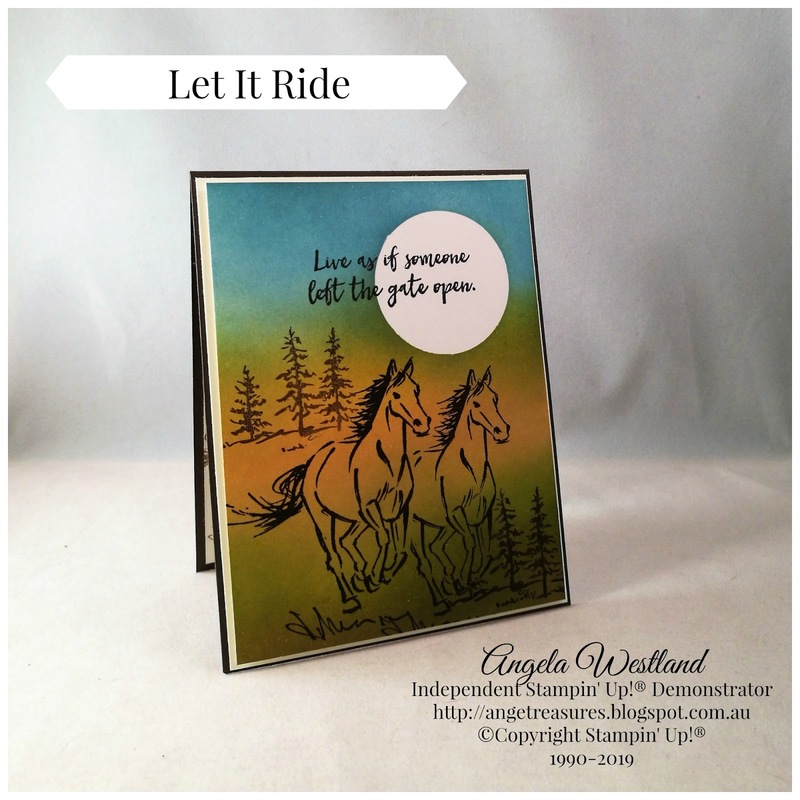 I find it easier to sponge onto Shimmery White Cardstock, it gives me a seamless finish. This is not a technique you want to be in a hurry with. used Early Espresso and Stazon Jet Black. 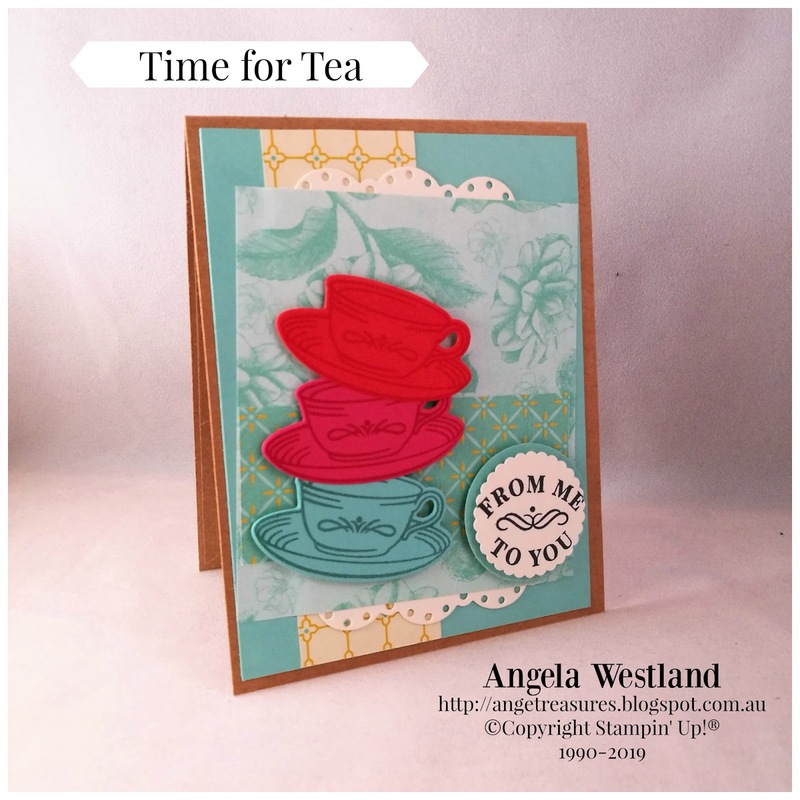 For my card today I have used the Time for Tea Stamp Set, Tea Room DSP and the Spot of Tea Framelits. 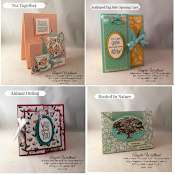 I love being able to get the entire range as it's so easy to create!! 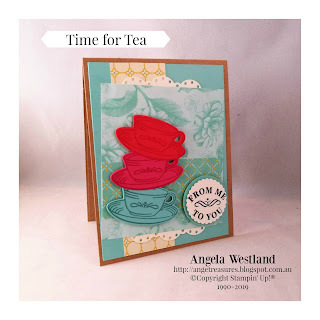 I have really layered this card with lots of different DSP, Cardstock Colours and Tea Cups. 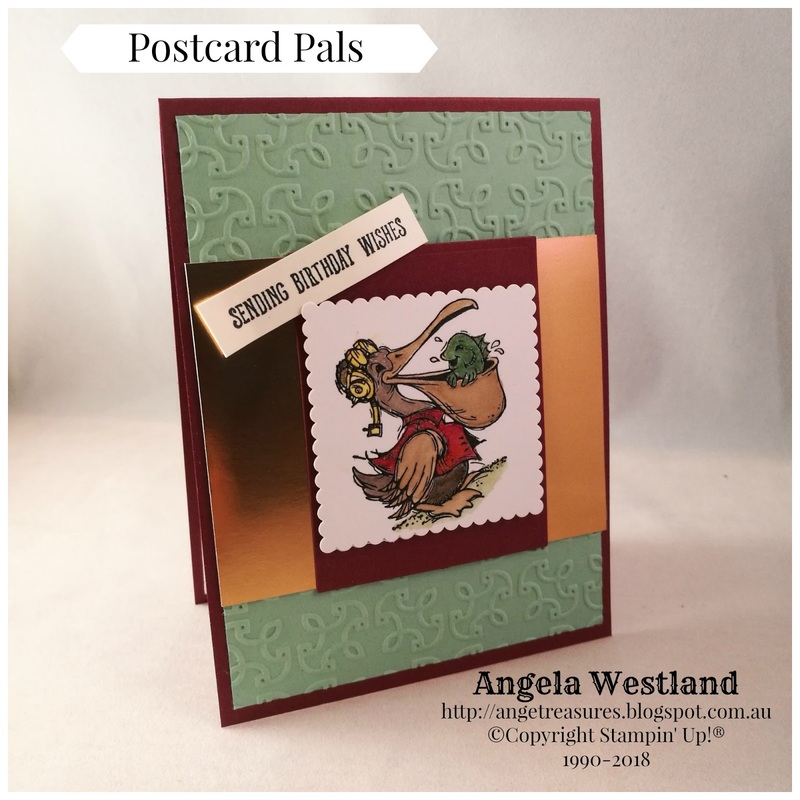 Today I have a card for you using the stamp set Postcard Pals, I just love these guys in this stamp set. 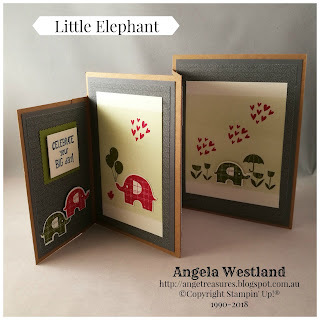 They are so adorable and a dream to colour, I have water coloured this one today. 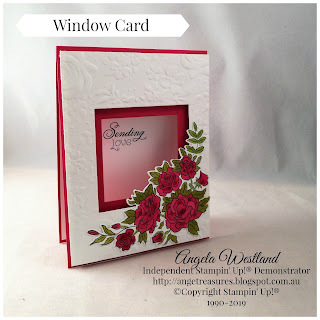 Don't forget to check out my Utube Channel as I have done a tutorial on this one and how I watercoloured it, I do it a bit differently than I use to and find it so easy and just couldn't wait to share it with my subscribers of my Utube Channel. I publish 2 tutorials every week and just love to share my techniques and ideas with you. I watercolour with my ink refills and a aqua painter, it gives you so many colours to choose from. 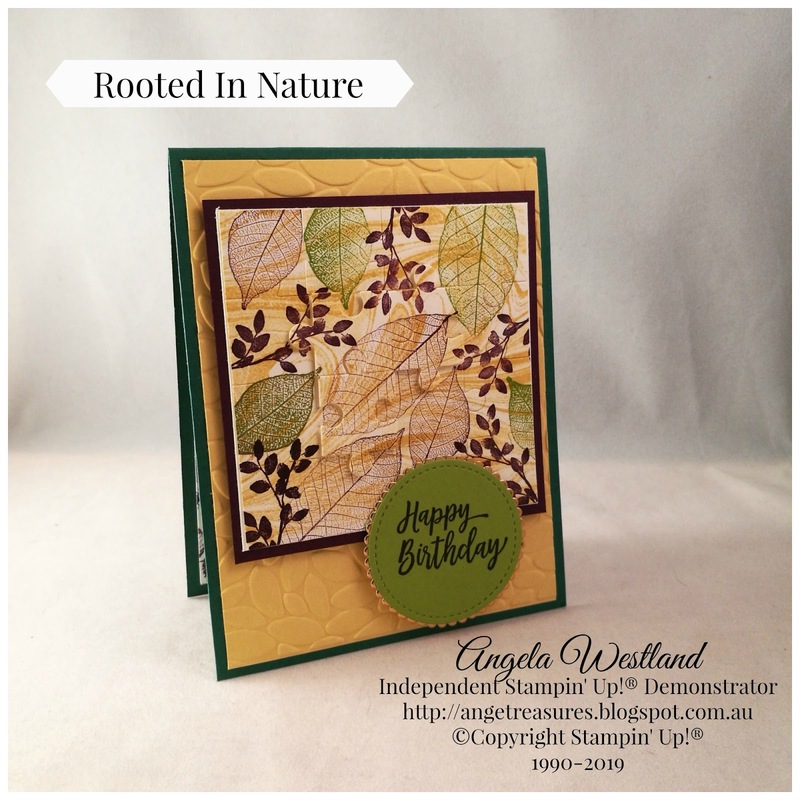 With my card today I have used the Rooted In Nature Stamp Set and the Puzzle Pieces Thinlits with the Petal Burst Embossing Folder. 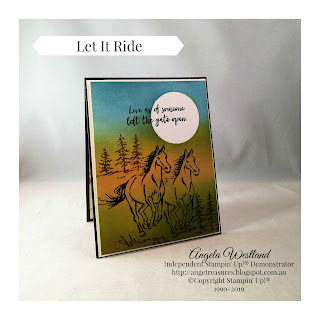 When I made my puzzle I used some Stampin' Dimensionals for the 3 centre pieces to pop them up off the puzzle so it didn't look flat, I also used Stampin' Dimensionals for the Sentiment. 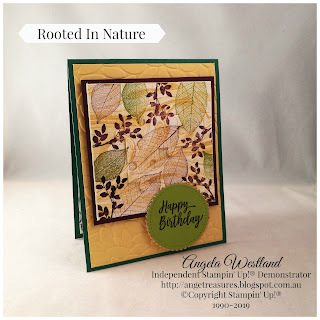 With my centre piece on my card which is the puzzle I stamped the piece of Very Vanilla Cardstock with the Marbled Background Stamp in So Saffron, then stamped the leaves and foliage to create the puzzle with Blackberry Bliss and Granny Apple Green Ink Pads. 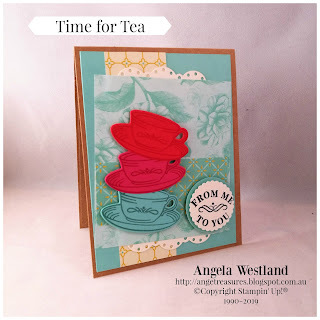 I then ran the stamped piece through my Big Shot with the Puzzle Pieces Thinlits. Today I have used my Scalloped Tag Topper Punch to create this card with a side opening and a lovely tag incorporated on the front of the card. 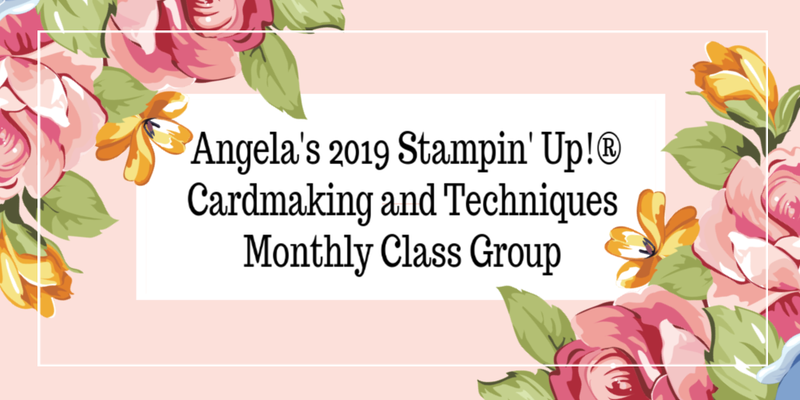 Don't forget to request to join my MEMBERS GROUP where you will see many more techniques and card folds that I offer in my Online Classes. 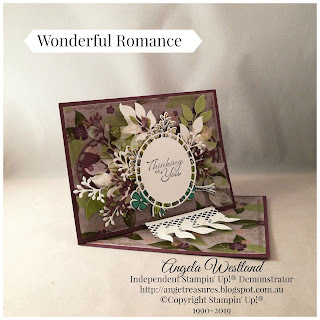 Today I have made a Twisted Easel Card using the Floral Romance Designer Series Paper, Wonderful Romance Stamp Set and the Wonderful Floral Framelits. 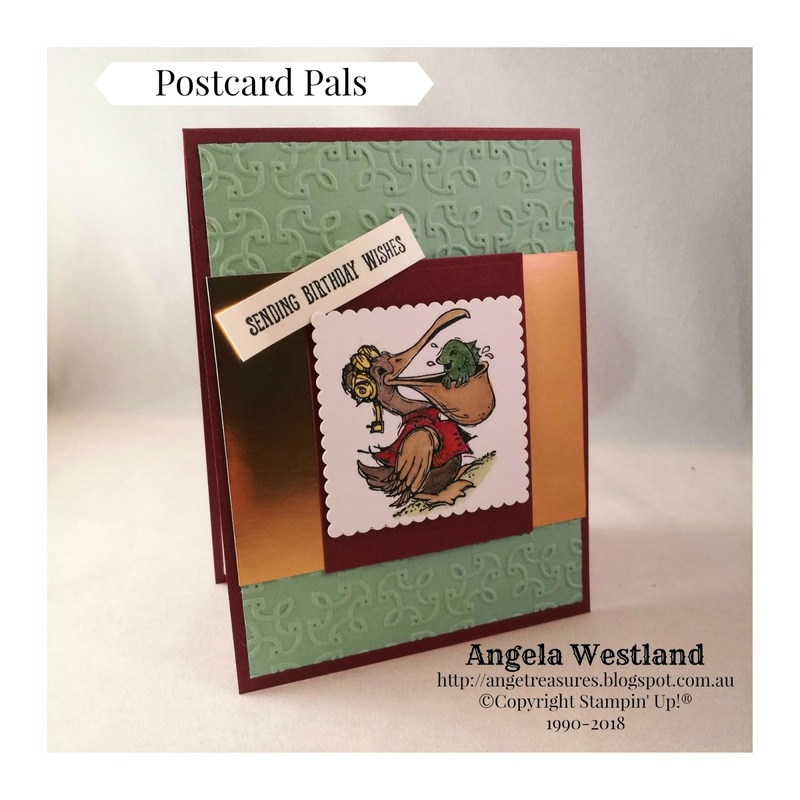 I started off by making the base card in Fresh Fig cardstock, adding all my panels with cardstock and designer series paper. 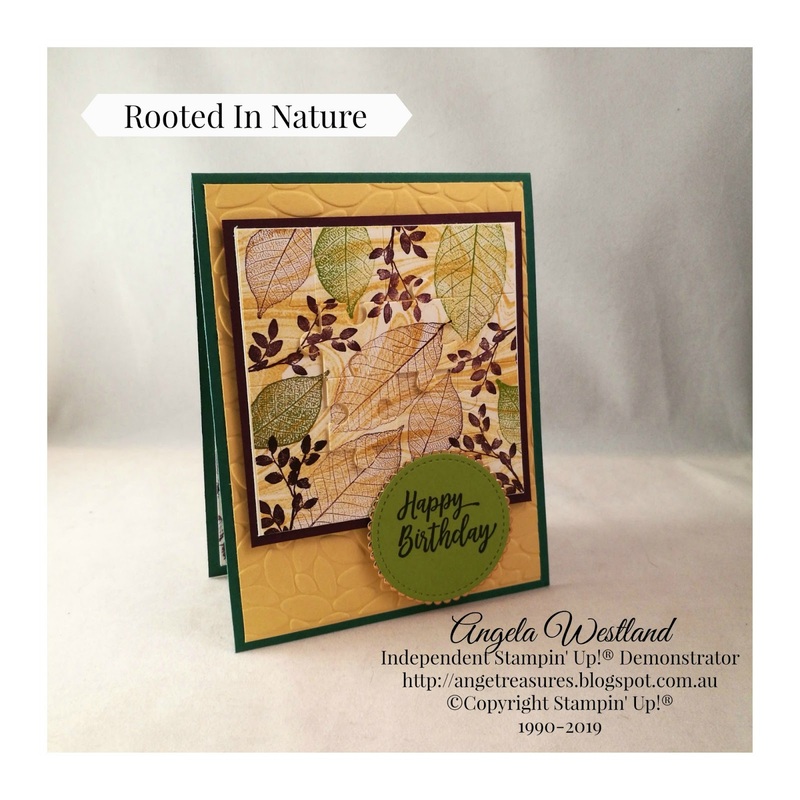 I then created my oval focal point and cut out lots and lots of leaves, sprigs and flowers and created a floral arrangement on my card. 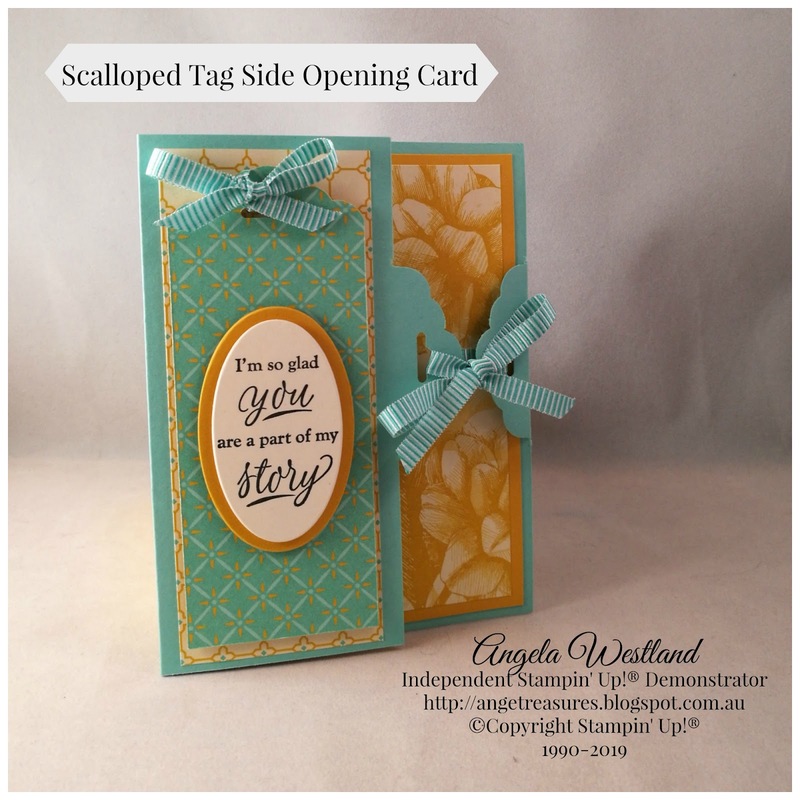 I taught this card in my Online Classes during the month of March, I would love you to join my MEMBERS GROUP HERE! 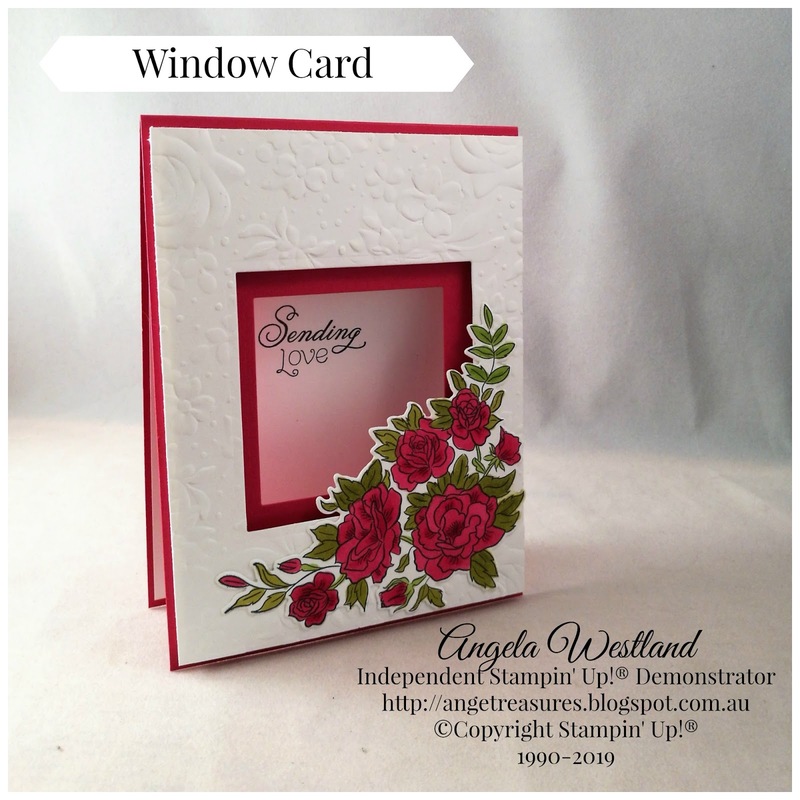 I would love you to join my team by joining Stampin' Up!® HERE! MY MEMBERS GROUP JOIN NOW! 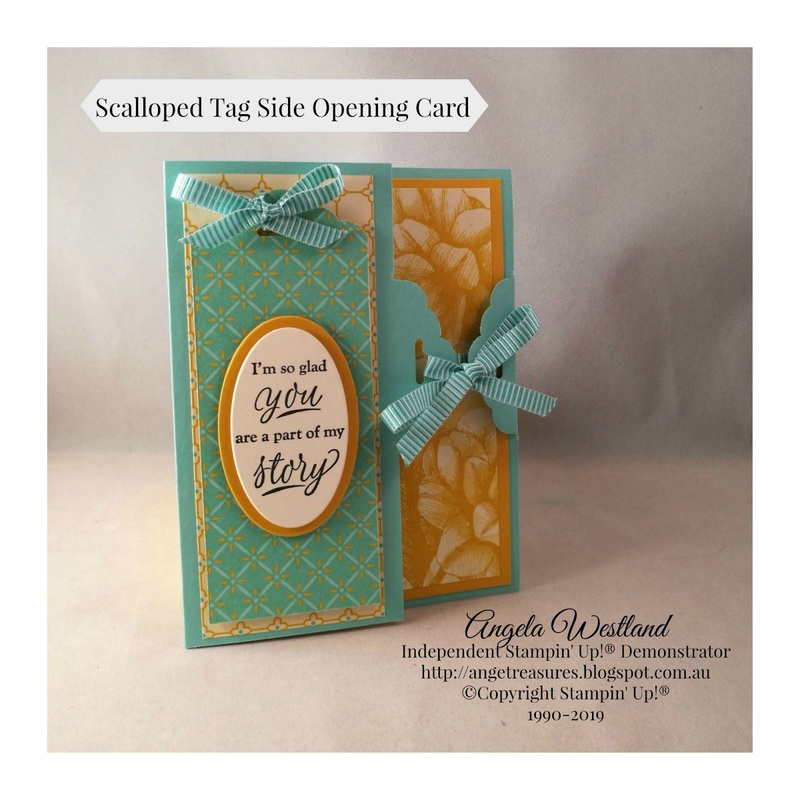 Scalloped Tag Topper and Side Opening Card, Tote Bag and Matching Full Size Cards. © Copyright 2015 Ange's Treasures. All rights reserved. Theme images by merrymoonmary. Powered by Blogger.